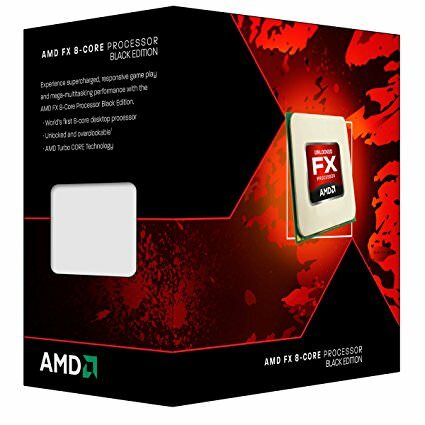 The AMD FX-8300 Processor unlocks maximum, unrestrained processing performance for extreme responsiveness you can see and feel. A Turbo Boost Frequency of 4.2 GHz provides unrivalled speed right out of the box. Aggressive performance for mega-tasking and intensive applications like video editing and 3D modeling. AMD Turbo Core technology5 dynamically adjusts performance to give you the best experience, no matter what you are doing. 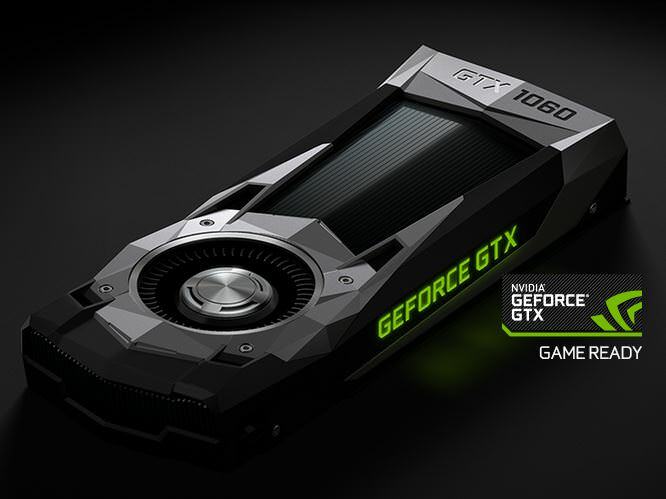 The GeForce GTX 1060 graphics card is loaded with innovative new gaming technologies, making it the perfect choice for the latest high-definition games. Powered by NVIDIA Pascal - the most advanced GPU architecture ever created—the GeForce GTX 1060 delivers brilliant performance that opens the door to virtual reality and beyond. #GameReady. With Your choice of 2400MHz RAM, and a range of premium storage options, you can configure your new PC in exactly the way you want. This AWD Horizon PC has been specifically designed to provide the perfect entry point into the most graphically demanding games. This system comes pre-installed with a genuine Microsoft Windows 10 operating system. - Prebuilt and configured. Just turn it on and away you go! Delivery is FREE on all orders on awd-it.co.uk - but enhanced delivery options are available should you wish to choose them. You can read more about our delivery services and options HERE. For PC orders, parcels are fully tracked and notifications are sent to keep you updated. On the morning of the scheduled delivery date, DPD notify the recipient with the estimated delivery time which is accurate to within one hour. Delivery times are typically 5-7 working days on gaming PC systems. If you have a particular delivery date in mind please give us a call and we will do our very best to accommodate your requirements! All of our gaming PC systems are built to order and are designed to be upgraded or changed should the customer require something that is not offered. Our staff would be more than happy to assist in choosing the right system for you and to discuss upgrades or technical advice should an issue arise. Check out the full details of our unique Platinum Warranty Cover. Great pc for the money. Been looking for a pc to replace my pretty bad dell dimension 5150 and wanted to go into gaming. This is a great buy and runs the Oculus Rift (DK2) without any stutter whatsoever! Hey guys! if any of you have bought this cuz i am just about to, I would like t,o know the dimensions, or round about, of the case. i would also like to know if this is a good pc to buy for Minecraft and Terraria, i know they're not very intense games but if anyone knows how they run pls tell me! thanks! So I wanted a budget gaming pc. I wanted something to play a few games with for now and work on later on. After speaking to a guy at AWD about my plans and budget he pointed me to this. I was going to spend more than £500 to get it how I thought I would need it. 6core CPU, 960 GTX GPU, standard CPU cooler, 120 GB SSD and 1TB HDD. Also for the sake of ease please consider having them do the OS for you. I used a disc myself and nearly wanted to jump out a window suffering so many issues and still having a final issue to resolve. Put simply I ran Skyrim on my PC and it auto set to ultra high quality. FF13 can run so beautifully it can't be put into words and I can run the last remnant without any slowdown even with maxed settings. This is a must have for somebody who wants reliable performance as a solo player gamer. How it stands up with online gaming I have no intentions to find out, better off asking the staff. Thanks AWD Got this today so an early review i know but i have to say something, less than a week from build to door (with fast build/ship) great value for money compared to equivalent builds i found around the web, the unboxing was a good experience, neat, component boxes and driver cds/manuals/spare cables all inc. This is my second PC from you guys and its been a while, but more than impressed, chose to install my own windows disk this was fast and easy as system correctly set up. Only grumble and its my fault as i didn't think about it but it may just make you think about it if you haven't and reading this, i purchased this to connect straight to my hd-tv to use as a steam machine/gaming system its fine for this but i chose the Geforce GTX 750 Ti, which does not come with regular HDMI port, its M-HDMI, it does come with a dvi-vga cable, so whilst i await a mate to bring a dvi-hdmi adapter i am sat with my spare monitor on the floor setting up , so if you plan to go straight to TV think this over and order 1 if your tv does not have a vga input! This PC arrived to me in a few days and upon getting getting it it was almost too easy to set up, as all of the equipment was inside. The only thing I had to do was enter a code for windows and it worked! It can run my games in ultra to high at 60 - 80 fps (Depending on the game). The only complaint I have is that the computer can get loud. Great computer to buy, definitely worth the money. It only took me about 10 minutes to set-up and from then on everything has worked fine. Nice and quite and very quick to start up! Brilliant buy! ROME 2= ULTRA....probably one of the most demanding games on the market right now! This is a great system for anyone wanting to up there gaming and join the great world of PC gaming, it has no problems doing your normal PC web browsing and windows applications and can handle multitasking easy, this system beats next gen consoles as you can run games in 1080P and because its a PC you can alter graphic options on any game to suit your needs where as the new PS4 and Xbox one consoles are capped usually on a medium type setting, so far I have loved it and I think you would struggle to build a PC in this spec from scratch for less which means great value and solves the headache and time of actually building it, ADMI have a great reputation aswell for being friendly and willing to help you out if you have any problems which is nice to know, thumbs up!!! I used the online seller AWD-IT who really stood out from the other sellers. The are a bespoke PC and component bundle specialist who absolutely care about the customer. They sttod out because they offered a much higher spec for the price i had in mind. I read several reviews before deciding they were the right company for me. I purchased very well put together system which for the money i paid really was very good value. I had decided i could only afford a quad core gaming rig as i had set my price at around £550, but for that i got a fast six core system with 8 Gb of fast RAM and a super over clocked GTX660 graphics card all in a very good looking Corsair gaming case. The system came pre loaded with Windows 7 home premium which a lot of other companies were charging around £70 more. Set up was super easy with just a few clicks i had it loaded for the first time. There was a nice set of bench mark programs installed so i could put my graphics card to test straight away. Microsoft security essentials also came as standard which meant i could on to the internet immediately. All the retail packaging was included so i could really see i was getting what i had paid for. There was even a USB WIFI dongle which although wasn't needed for this system it came in handy to fit on my old one. I've had it running for a couple of days now and it hasn't failed to please me yet. I've installed VLC player, microsoft office and it quickly picked up the drivers for my gaming keyboard and mouse. Lastly I've just installed a very demanding game (Watch Dogs) which really asks for a very fast and powerful system to play. Again after playing for a few hours it hasn't failed to make me smile with fast fluid game play at really high settings. At a glance had this for only a few hours, arrived in the estimated delivery dates stated which is great. After installing all the necessities which this PC done quickly and flawlessly, noticed a huge increase in performance from my older PC (only like 1-2 years) thanks to the 6 Cores in this baby! When you first start the PC, it starts as the first time installation so you can set-up everything the way you want to, All the drivers (the ones I've checked) are upto date with the current software, everything is looking good! The PC is built very well, wires are very tidy inside the machine, very quiet too big bonus for me. EDIT: Now that I've had more time to root around, and test it a little, the 5 stars are well deserved! Tested multiple games on this beast and its had very little issue with all of them. First game I tried was Skyrim, first time you start an Elder Scrolls game is always sets the graphical settings automatically depending on your hardware, as expected it picked ULTRA HIGH settings. Ultra high settings looks amazing on Skyrim and it looks even better when getting over 60fps which you get on this machine! Next game I tried was Battlefield 4, booted into the game doesn't take long to get into a match, usually around 10-20 seconds. My Graphics were set to auto meaning HIGH, not quite ULTRA but not much difference really. BF4 on high this machine handles it quite well while looking in the sky easily 150-200 fps, average game play expect to get around 60-120 fps, unfortunately some unoptimized spots in-game does hit your FPS pretty hard, the lowest I've seen my FPS go was about 35. Other then that it can definitely handle BF4. Also if you like to record or stream, GeForce GTX 600+ Graphics cards have a built-it recording/streaming software called ShadowPlay, do a little search on Google to find out more, its really good easily better than Fraps. Anyway this PC is a must buy for budget gaming, hope you found this useful!